Ebola is a perfect example of what is wrong with the World Health Organization. More and more people have been asking, why is it not present on the ground? Why didn’t it issue a warning sooner? In short, what is it doing (if anything)? With close to 1900 people already dead since the beginning of the outbreak this year, the international medical agency Médecins sans Frontières (Doctors Without Borders) has warned that “the world is losing the battle” to contain Ebola and the UN’s Food and Agricultural Organization (FAO) expects severe food shortages in the three countries most affected by Ebola, Guinea, Sierra Leone and Liberia. The hardest-hit of the three, Liberia, with 694 deaths, has seen the local market price of the national staple cassava going up 150 percent in August, and that is only the beginning. On 8 August, the WHO declared Ebola a “public health emergency”. On 28 August, it issued a “road map” to combat Ebola – it is intended as a framework to guide operations. At current infection rates, the WHO fears it could take six to nine months and at least $490 million (373 million euros) to bring the outbreak under control, by which time more than 20,000 people could become infected…And this of course assumes the money will be coming. Are donors rushing to help? No. Governments, instead of responding, are quick to put the blame on WHO, or at least imply that WHO plays a part in the overall slow response of the international community.That’s not fair. If WHO has been slow in responding, it’s because its budget has been slashed for years in the name of austerity. Margaret Chan, the director-general of the WHO, has issued many statements, but is seems that few people listen…Yet Margaret Chan is a heavyweight, ranked by Forbes as the 30th “most powerful woman in the world”. In the photo: Deputy Secretary-General Jan Eliasson; WHO Director-General Margaret Chan; and David Nabarro, Senior UN System Coordinator for Ebola. Initially trained as a home economics teacher, she’s a doctor with a Canadian degree (university of Western Ontario, one of the top medical schools); she started working as a medical officer for the Hong Kong government in 1978 and rose to public attention with her handling of the 1997 H5N1 avian influenza outbreak, famously telling residents “I ate chicken last night”. She also faced the 2003 SARS outbreak in Hong Kong as the head of the Hong Kong Department of Health. She was criticized for her passiveness and giving out misleading information, though an investigation by the Hong Kong government later established it was not her fault (it was traced to a structural weakness in the local public health system: hospitals did not properly transmit information to the public health authorities). That year, she joined WHO and by 2006 she had been appointed to the post of director general. In spite of some false steps – for example, in a visit to North Korea, she noted that the medical system was “well-staffed” and that there was no obesity, the only problem was malnutrition (! )- she was renewed for a second term in 2012. So, in principle, member governments of the WHO support her, yet they hardly listen. Why is that? WHO, along with many other UN specialized agencies, was caught in the austerity drive. Slashing UN budgets has become a popular response among politicians looking for areas to cut. And WHO became a major victim of cuts, as Margaret Chan explained to Dr. Joanne Liu, the president of Doctors Without Borders, when the latter asked for her help to spread the word and provide on-ground support with experts and health workers. On 2 September, Dr. Joanne Liu briefed the United Nations headquarters in New York (see video here). Addressing outbreaks on the ground is something the WHO is no longer in a position to do. As recently reported by the New York Times,ten years ago, at the time of the SARS outbreak, conditions were very different: the countries affected were not desperately poor and helpless as is the case for Ebola’s outbreak in West Africa; they were Asian countries that benefited from developed public health systems while the WHO itself, lavishly financed by donors, had a full department of outbreak experts, working with what was at the time advanced electronic surveillance systems. Once SARS ended, the money vanished. And with the 2008 recession, the WHO’s two-year budget was slashed by nearly $1 billion – that is 25% of its current $3.98 billion budget. The largest contributing member country is the United States with only $110 million – next come Japan ($58 million), Germany ($37 million), United Kingdom ($31 million) and France ($31 million). A drop in the ocean. In fact, there is something dangerous at work here. Since dues from member governments only account for some 20-24 percent of the budget, the rest generally comes from “outside”, i.e. private donors and, predictably, the WHO activities are designed and redirected to satisfy them. Hence other priorities were chosen, for example, heart diseases and diabetes, and the WHO outbreak center turned into a “ghost town” as one consultant remarked. Staff tasked with outbreak activities was slashed by 35%, twice as much as other staff in the WHO. The epidemic and pandemic response department, which included a network of anthropologists to address cultural differences during outbreaks, was closed down; currently there is only one expert on Ebola and hemorrhagic diseases in the WHO – within the unit covering the science of pandemics, the rest of the staff, only 52 people in total, are experts in other types of epidemic diseases, from cholera to bubonic plague. This is very sad. The WHO is one of the oldest UN specialized agencies, established on 7 April 1948, the first World Health Day, and it is headquartered in Geneva; it actually predates the UN and was an agency active before World War II, within the League of Nations. It has played a leading role in the eradication of smallpox, the first disease in history to be eradicated through human effort, and that alone, proves that with the necessary financial support, the WHO is capable of achieving whatever it takes to control a disease. 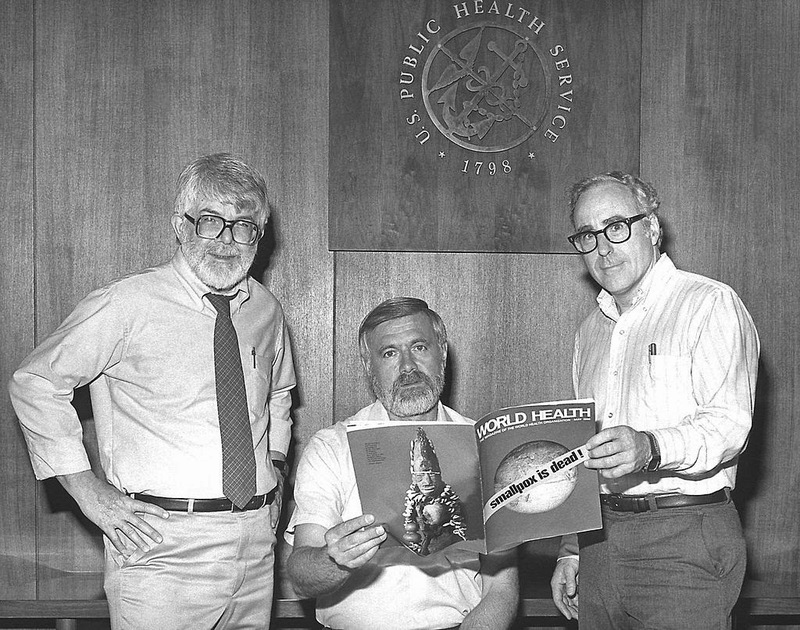 Three former directors of the WHO Global Smallpox Eradication Programread the news of the eradication in 1980. But there are caveats. The WHO mandate has, from the start, been extremely ample, ranging from controlling the spread of malaria, tuberculosis and sexually transmitted infections to improving maternal and child health, nutrition and environmental hygiene. The WHO is into emergency work and public health policy. Its activities range from on-the-ground technical assistance to monitoring and compilation of accurate statistics on the spread and morbidity of disease and policy advice. In terms of areas covered, the WHO goes beyond communicable diseases and covers chronic noncommunicable diseases, mental disorders, violence and injuries, and visual impairment. It is even concerned with road safety! Moreover, the WHO does not work alone and through its regional offices, it is close to countries’ needs. It employs some 8500 people in 147 countries (and it does not recruit cigarette smokers!). It works with some 500 NGOs, including the the Bill and Melinda Gates Foundation and the Rockefeller Foundation. 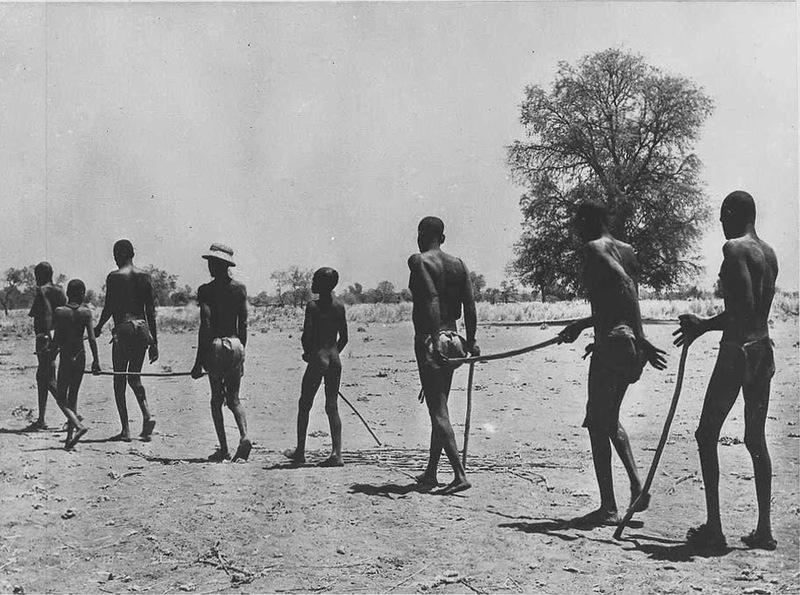 For example, the WHO has fought, in partnership with FAO, UNDP and the World Bank, such rare and complex diseases as onchocerciasis or river blindness, which affects some 17 to 25 million people, mainly in sub-Saharan Africa. With such a vast remit, it is not surprising that the WHO is plagued with insufficient funding. The problem is one of prioritization. And to prioritize correctly, there is a need to set up an institutional system of fund collection that is as free as possible from interference by private interests. In short, more democracy is needed, a tall order and a tricky political conundrum. Photo credit: United Nations and World Health Organisation.